People are drawn to leather for all kinds of reasons, including its sophistication, character, timelessness and, last but not least, durability. 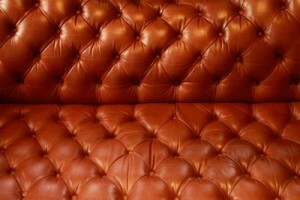 But that does not mean leather doesn’t require regular care just as your upholstered furniture does. Though it appears less porous on the surface than upholstery (and might even feel dry to the touch after a spill is wiped away), this camouflage effect is often misleading. 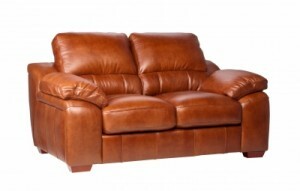 Leather is porous and absorbs spilled liquids, dirt, dust and allergens over time. Dirt and other harmful substances might be hard to recognize just by looking at the surface of leather, but eventually your furniture will start to lose that soft and supple look and feel that you love. Manufacturers of leather products, including furniture, often advise their clients to employ professional leather cleaning services to care for these valuable pieces. Do you really want to risk tackling a leather lounge suite with store-bought leather cleaners and the instructions from the back of a can? Many of these store-bought cleaners may be wrong for the type of leather furniture you have, too harsh for most leathers or even run the risk of causing permanent damage. Moreover, some furniture owners neglect to wipe the surface clean with a dry, soft brush or cloth before using leather cleaners, an important step that ought to be taken regularly anyway to avoid scratches that can be caused by gritty debris from any number of household sources. Meanwhile, rough cleaning (i.e. scrubbing) or overuse of cleaners and furniture treatments is another danger if you’re not well informed about proper leather care. Our trained specialists are experienced in all types of leather—including aniline, semi-aniline, pigmented and Nubuck—and have the right equipment, products and techniques to produce the very best results, using professional-grade leather furniture cleaners and moisturizers to prevent against cracking, fading and other damage to help your pieces retain their classic look and feel for years. We make leather cleaning—whether for your home, business or anywhere else you have valuable leather furnishings—easy and affordable, producing professional results that will leave you wondering why you waited so long to call us! Finally, because we’re also the local experts in other home and commercial cleaning services like carpets, upholstery and more, we can be your one-stop source for refreshing some of your most valued assets and making your whole house or business look and feel cleaner.